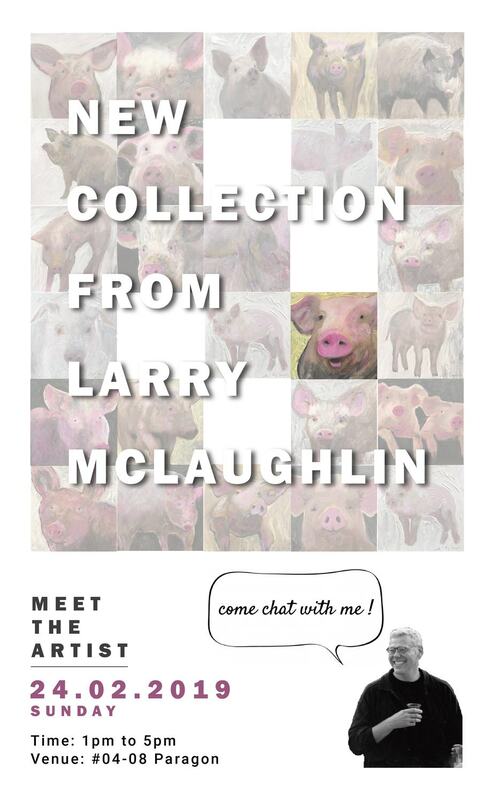 If monoprints and golden pigs are what you like, don’t miss our Larry McLaughlin Show this Sunday where we will be unveiling his new collection. This solo show will feature a series of new paintings and sculptures never seen before. Larry McLaughlin will also be present at the opening reception, so come talk to him and find out the inspiration behind his exciting new artworks. Hope to see you guys there!